In 1889 Charles and Myrtle Fillmore founded the Unity Church in Kansas City, Missouri. After Mrs. Fillmore's remarkable healing using prayer and affirmations, many friends became interested in how she accomplished this healing. Unity grew from small prayer circles in living rooms to the worldwide movement it is today. On July 16th of 2006, after a few short weeks of meeting in private homes, the group grew quickly. Before long over 20 people came together to create the Unity Church in Jensen Beach. In September of 2006 a Steering Committee was formed to apply for affiliation with the Association of Unity Churches Worldwide. Following the completion of all requirements, Unity Church in Jensen Beach was approved on August 31st of 2006. On October 1st of 2006, Unity Church of Jensen Beach began meeting in a home that was completely renovated and converted to church use exclusively. Unity Church in Jensen Beach now meets regularly for services at 10:00 a.m. on every Sunday throughout the year. All are welcome, and we look forward to welcoming you. Refreshments are always appreciated for the after service get togethers on the front porch. Sometimes they magically appear. Other times, you buy the food and bring it and the church will reimburse you up to $20. Volunteers are indispensable at Unity Church at Jensen Beach! Serving is part of the fabric of any healthy local church. It is through volunteer support and service that the church’s small, but vital, tasks get accomplished. Our volunteer positions are open to all individuals who would like to make a difference in church operations.  Most volunteer areas require a minimum sacrifice of your time but will help Unity Church at Jensen Beach receive maximum benefit. There are many opportunities available to offer your time and talent at our Unity Church and in whatever area you would like to serve. You may want to volunteer only occasionally or on a more consistent basis. We have listed only a few possibilities where you can help others and receive the blessing of new friends.